Byron Ward provides an acute in-patient psychiatric service for a wide range of psychological and emotional problems. 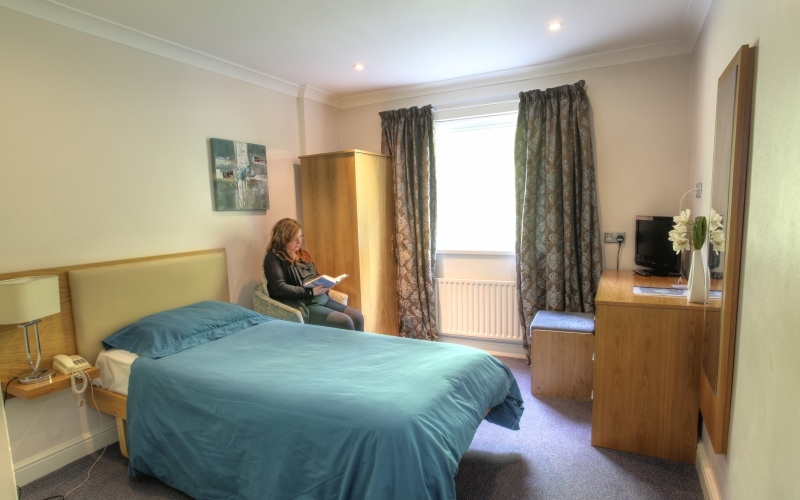 Set in a calming and therapeutic environment the ward can support up to 20 men and women. Referrals are accepted from all over the UK. With high staffing levels the service aims to help people stabilise and enable them to return to the community, or the least restrictive environment for them, as quickly as possible. The average length of stay on Byron Ward is usually between 7 and 14 days. To make a referral please call our dedicated Referral Line on 0808 164 4450. We aim to respond to referrals within one hour of receiving appropriate and adequate clinical information. A personalised package of care is agreed following assessment within 72 hours of admission including full physical healthcare checks. The multi-disciplinary team works to provide a healing environment which offers professional, supportive and compassionate treatment for service users, their family, carers and friends. Our consultants and therapists come from diverse cultural backgrounds and amongst them we have native speakers of Bengali, Hebrew, Hindi, Malay, Polish, Punjabi, Tamil and Turkish. The ward has a carefully recruited staff team. The service is not risk averse and has a willingness to accept referrals which may be challenging and can work successfully and robustly with individuals who experience a high level of complexity and challenge. There are three close observation rooms where service users who require extra support can have more individualised care. The service can also accept privately funded patients.